Buy 4 x 2.5 litres or more of Fiddes Exterior High Build Wood Oil for free delivery on this entire order ! 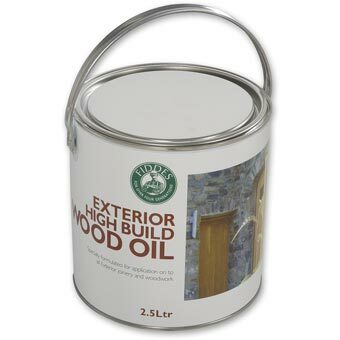 Fiddes Exterior High Build Wood Oil is a blend of natural oils & resins offering a transparent satin finish with excellent durability & weather resistance. Use for all exterior joinery & woodwork. Produces a clear, quick drying, water repellent finish that will not peel or flake. Contains UV filters and is VOC compliant. Coverage : 20-24 square metres per litre. 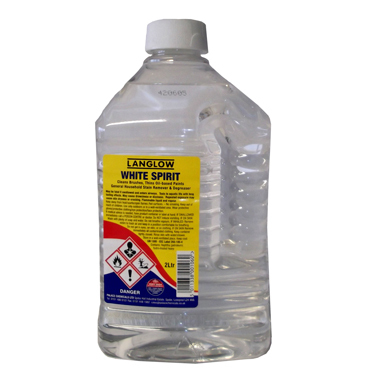 Ensure all surfaces are clean, dry, and free from any previous finish. Remove any fungal growth, dirt or moss on old wood prior to application. Sand the substrate with a medium 120 grade sanding paper or sanding disc, removing all traces of dust. Apply Fiddes Exterior High Build Wood Oil in dry conditions. Always test on a small area prior to initial application. No primer required. Maximum 2 coats recommended. Fiddes Exterior Oil is formulated for application directly, and does not require thinning. First Coat :Stir contents thoroughly before and during use. Apply Fiddes Exterior High Build Wood Oil thinly using a good quality bristle or synthetic brush. Lay evenly, following the direction of the grain. Remove any surplus material immediately with a cloth, carefully checking all areas for excess application. Leave to dry for 4-6 hours or preferably overnight. Lightly sand witha 320 grade paper. Second Coat : Apply as first coat, THINLY, allowing good ventilation. Leave to dry 4-6 hours or preferably overnight. 6) Re-application : To renovate previous application of Exterior Oil, lightly sand the area with 150 grade paper, and re-apply sparingly. Keep container tightly closed and store in well ventilated area. A wood preserver is recommended prior to application of this product. Enter the total surface area, or the individual dimensions in metres or feet. 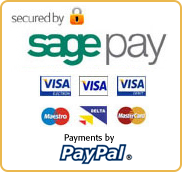 Select the number of coats to be applied and click "Calculate". * Quantity based on manufacturers published coverage range. Results may vary in practice. Use as a guide only. Add this product to your cart below. Liberon Superior Danish Oil, Liberon Decking Oil, and Liberon Pure Tung Oil.